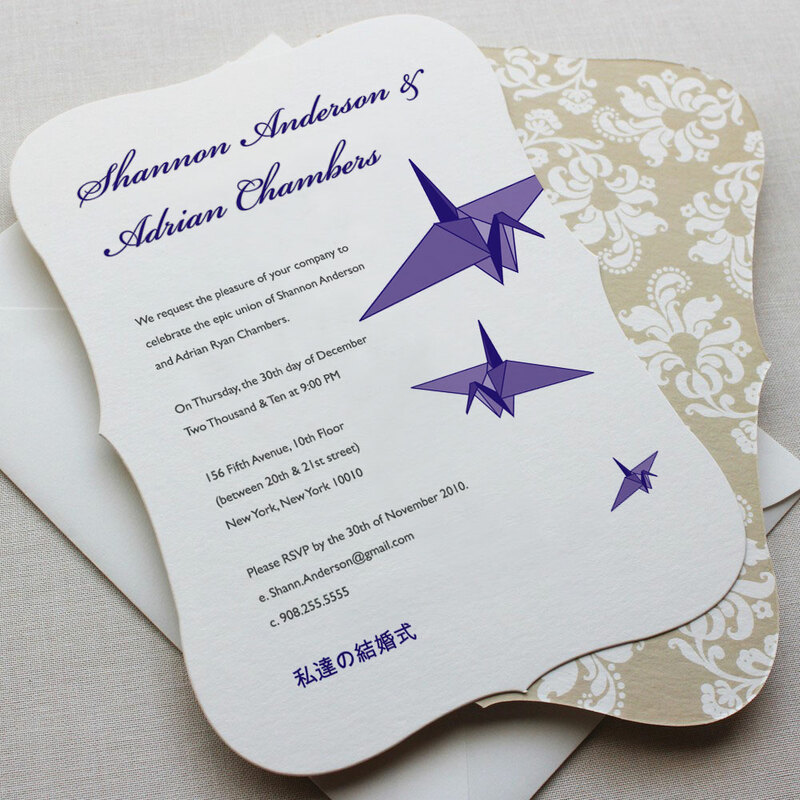 Wedding Invitations and Inserts created for the Chambers wedding ceremony and reception. Quantum Design Lab was in charge of the design, layout, typesetting and the printing for this project. 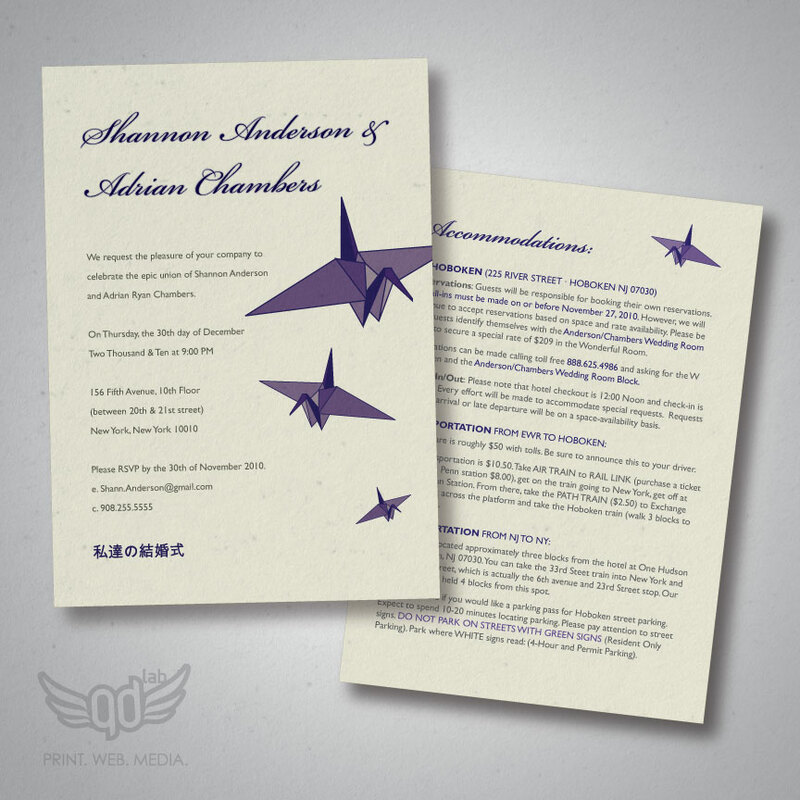 We also digitally illustrated the paper cranes seen above. 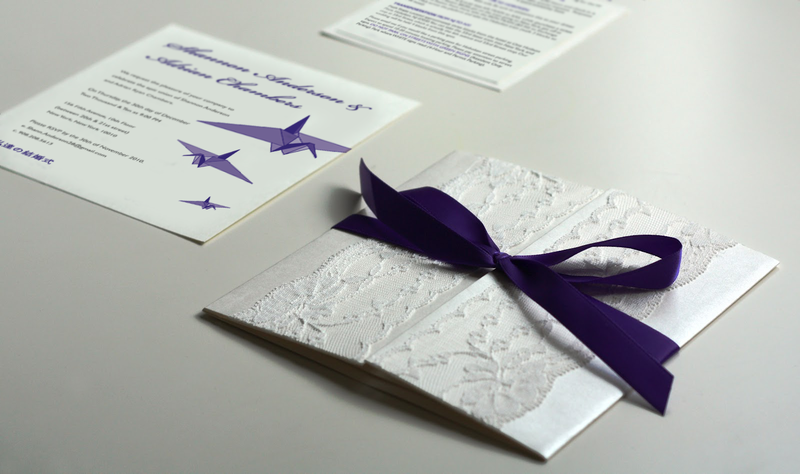 QDLAB had the Chamber’s wedding announcements printed on a traditional ivory linen card stock with matching return address envelopes.